Hours: Mon-Sat 12pm-2am - Sundays 10am-12am. The V-Lounge sports bar & grill is a fans dream come true. 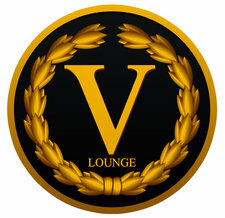 Sports in HD, free pool, darts, karaoke, live shows and DJ's, is just the start of entertainment at The V-Lounge. We offer a very tasty pub menu with a wide selection of beer and cocktails, in a tropical, Las Vegas style decor. Located across the street from Uptown shopping center at The Red Lion Inn & Suites, we are your new neighborhood hangout! Stage Details24 foot wide by 12 foot deep. Rental / Usage RestrictionsNo Minors - Must be 19+ w/ 2 pieces of ID. Soundsystem DetailsFull EV 3way sound system w/ 4 Monitors & Mics.